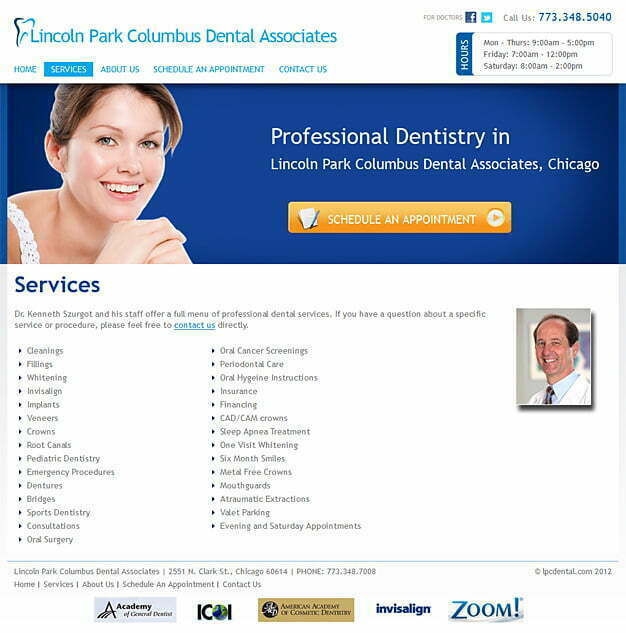 Lincoln Park Columbus Dental Associates based out of Chicago, provides top of the line cosmetic and restorative dental services. Since the birth of the clinic in 1984, the founder and head dentist, Dr. Szurgot, has endeavoured to provide his patients with the best technology, results, and fees available. Both he and his staff maintain a strict code of professionalism in their work and customer care, and this is reflected by their generations of satisfied customers.